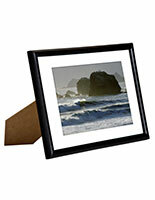 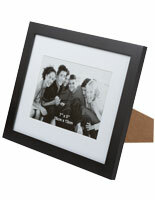 This black wood matted 5x7 photo frame is a perfect choice for commercial or residential picture displays and a classic alternative to digital framing. 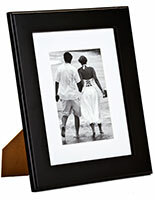 The stylish wooden enclosure has a classic look and comes with a white mat that can be easily removed to showcase larger images. 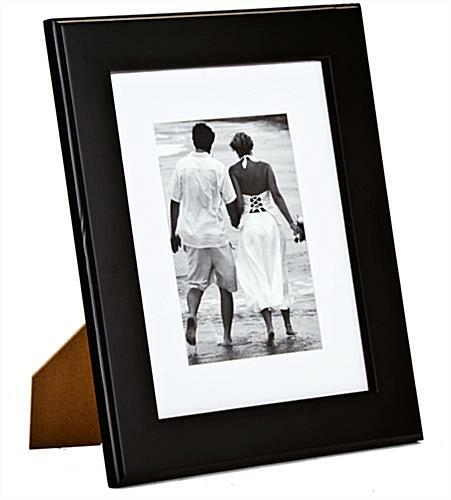 The rear-loading matted 5x7 photo frame features an easel and hooks that allow it to be used as a desk or countertop picture holder or mounted on walls. 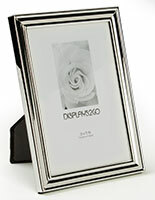 This type of framing is ideal for point of sale advertising, as it is easily portable and offers great visibility. 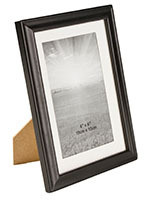 The white-matted 5x7 photo frame makes a great way for businesses to highlight menu items, specials, service options or simply to function as a decorative picture holder. 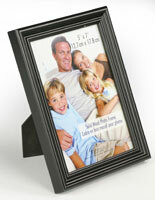 The classic wooden construction and neutral finish give displayed advertisements or photographs a more traditional look than electronic or digital framing. 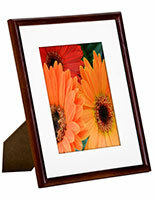 12.0" x 14.5" x 0.5"